Learning from Life: Trying to change your spouse? Read this great article from Jason F. Wright. I love how he took something that the world tells you not to do and explains exactly why you should do just that! Yes, you should try to change your spouse! Brace yourself. There are more than 5,000,000 results. Come on, that’s not marital advice. That’s a bumper sticker at a couples’ retreat. I fell victim, too. 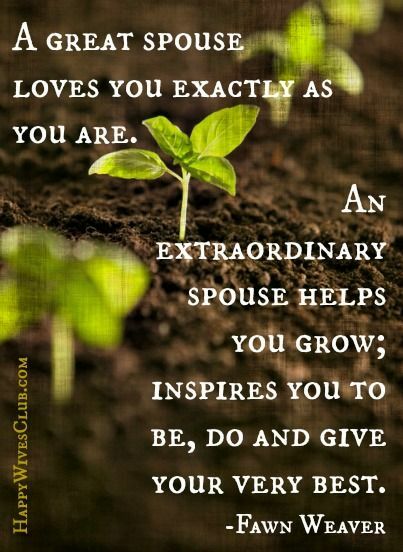 During the early part of my 20-year marriage, whenever my wife, Kodi, shared any advice or constructive criticism, the natural man in my head whispered that maybe I just wasn’t good enough. I needed to look in the mirror and change myself into what she wanted me to be. But through two decades together, I’ve learned that what Kodi really wants is exactly what I want. She doesn’t want a new me; she just wants me to be a better version of the “me” I already am. Like all couples, my wife and I witness layers of goodness in each other that only we, through marriage, are able to see. It’s one of the great miracles of matrimony. Kodi knows my talents, tests, strengths and weaknesses like nobody but the Heavenly Father who created us in the first place. Maybe I’m crazy, but I’m glad my wife is trying to change her flawed husband. She knows just how much better I could be if I had the same confidence in myself that she has in me. I’m not too shy to say that I want her to change, too. Not because Kodi isn’t good enough already — she’s magnificent — but because I recognize potential in her that goes beyond this life and into the next. If your relationship is sometimes out of tune – no marriage is without an off-key note every few bars - make a list of your spouse’s many amazing attributes. Odds are the things you appreciated when you first married are still standing right in front of you. Focus like a laser on your partner’s positives. Then, help him or her find ways to magnify those attributes until they’re so prominent, there’s nothing else left. Identify the good, isolate it, protect it, and feed it until it’s all they are. Use praise to crowd out the negative and quit worrying about trying to change what you think is broken. Instead, help them transform what’s good into something even better. Is your wife good with people? Tell her. Encourage her. Help her grow those skills into even greater self-confidence. Is your husband handy around the house? Tell him. Encourage him. Praise him for doing what many cannot. Invite him to use his talents to bless neighbors and strangers. Remind your partner in life, love and trials that you are their chief cheerleader. Let them know that because you love God and them, in that order, you want them to change — for good. Sure you can, no matter what Google says. But beware; all this changing your spouse might just be good for you, too.